The LKB Series tells the stories of entrepreneurs just like you. KB makes the best of his “24” without a doubt. He’s a full blown entrepreneur who’s not slowing down anytime soon. Growing up with limited resources made him want to pursue everything in reach. He runs his own personal training business. 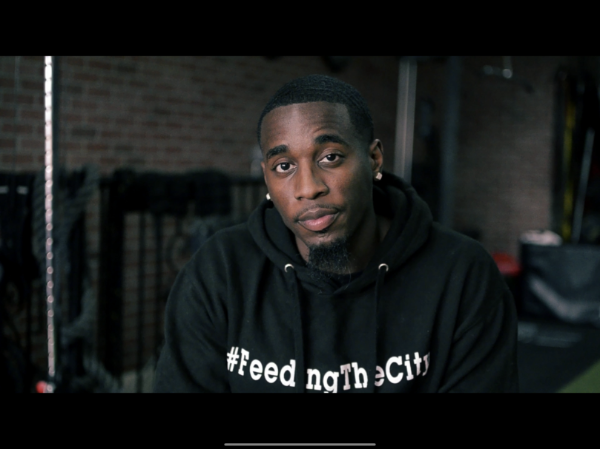 Kaleb is also a real estate agent, model, actor and the founder of a local community organization, #FeedingTheCity . He’s the man of the many hats but only wears the ones that fit him well. A sole believer of keeping God first & staying true. With great achievement also comes great responsibility too. As a young mogul KB understands he’s a leader and public figure of the community. The most exciting part is that you don’t know what he’s going to do next. If you follow him on social media he could be training his clients, talking to the youth at school, showing condos, booking photo shoots or turning up with his bros all in one day. He truly inspires people to do more than what’s given or expected. Having fun is his business, doing business is his fun ! omó pastor is a published storyteller through writings, film, and photographs based in New York. A couple of her works have been published in The Register and the Aggie Press. Her creative lens focuses on the intersection of gender, sexuality, emotions, and history while being of African ancestry throughout the Diaspora in today’s society. omó pastor is an alumna of the Nate Parker Foundation where she played a role as a cinematographer for the short film #Hashtag. Currently, she teaches high school students the art of film while creating their own stories through films.